This past October, we embarked upon another Zam Zam trip to our beloved Rwanda. Prior to leaving, a few of us had notified our friends that we’d be collecting funds to be donated directly to the villagers. We expected a few hundred dollars, but then magic happened. The donations poured in. Especially, after our supporters saw our content on social media. We realized that the key was building a connection. Allowing our donors to see our villagers as human beings, fostered a connection that ushered in nearly $5,000 in total donations - all within a two-week span. We used the first $500 to purchase 50, five-liter water buckets, that we installed with water purifiers. The water purifiers filter up to 5,000 liters of clean, fresh water. The water they use comes from the water well projects we have built in those villages. We provided a few of those buckets to our schools and the rest to the surrounding community. The remaining funds were dedicated to providing one of the most essential, yet scarce resources in the villages - healthcare. We are in the process of registering 550 children to receive healthcare insurance for 2 full calendar years. 460 of those children are students at the Zam Zam schools and the remaining 90 are children in the local area. The heart and compassion of our domestic donors paved the way for thousands of Rwandans to have the priceless safety-net of health insurance. Every act of kindness has rippling effects. Only the Lord knows how many lives will be saved from this last minute fundraiser. Rwandans are some of the most grateful people we’ve come across. They thanked us, but in reality, it was us who needed to thank them for allowing us to connect with them. Apart from the monetary contributions, the biggest gift was the gift of love. "Things don't happen by accident..."
Cindee Rood here from Formidable Joy. Zam Zam & Formidable Joy just completed our very first water project together in Malawi, Africa at Dzaleka Refugee Camp. Malawi is known as the “warm heart of Africa” because of the friendly nature of the people. It is one of the least developed and most impoverished countries in the world - currently ranked #6 by Global Finance Magazine. In a country of 18 million, an estimated 20% of the population (over 3.6 million people) lacks access to clean water. As with many developing nations in the world, it is women & girls who bear the responsibility of fetching water for the family. Located in Dowa, Malawi, Dzaleka Refugee Camp is home to 38,000 refugees, a camp originally built for only 9,000. Over 80% of the refugees come from the Democratic Republic of Congo, followed by Burundi and many more surrounding countries. The camp currently only has 32 water wells for a population of 38,000 (an average of 1,187 people per well). The water wells at the camp are so congested that they run 24 hours a day, 7 days a week! Formidable Joy works with local organizations and drilling teams to identify schools, health centers, and communities in need. Many of the villages and/or schools we serve rely on dirty water sources - from rivers and streams to hand-dug holes. We work with experienced, Malawian-owned drilling companies. We also rehabilitate old, broken pump/boreholes that were installed by other NGOs or the Malawian government. A simple repair can bring an old malfunctioning borehole back to life; thus improving the quality of life for a community. We implemented our first solar water system at Mercy James Centre – the only state-of-the-art children’s hospital in the entire country. We partnered with Raising Malawi, an organization started by Madonna where 1,639 surgeries were performed at the hospital in its first year. Formidable Joy is based in Los Angeles and was founded by Cindee Rood. She has personally assessed, spearheaded, and completed 36 water projects throughout 10 districts in Malawi - from remote villages to primary & preschools to health centers - impacting over 35,000 people to date. Our work together is thanks to a delayed flight, talking to strangers, and the cliché of, “there are no accidents”. I was en route to Malawi a few months ago. The flight leaving Los Angeles was delayed, so I struck up a conversation with the man standing next me. Our brief conversation at 1:00am in Los Angeles led to coffee 20 hours later in the Addis Ababa airport in Ethiopia. Over coffee we spoke of our mutual love of Africa and of serving others. He is one of the loveliest people I had ever met, and also one of the biggest humanitarians I’ve come across. He is a husband, father, grandfather, runs his own nonprofits, and is a board member on several others. He’s a professor and it turns out he just happened to have an interest in clean water projects, as he serves on Zam Zam's Advisory Board. He suggested Yusuf & I connect, and the rest, as they say, is history. The “he” in this long story of mine is Jim Losi. I want to offer my heartfelt gratitude to Jim Losi and Yusuf Nessary. Installing an additional water point at Dzaleka Refugee Camp is the first project Zam Zam has completed in Malawi, and the first of (hopefully) many more collaborating effort. It’s a beautiful story of two organizations coming together for one common goal – providing access to clean water for people in need. The moral of the story is “there are no accidents”. You never know who’s listening and who wants to serve. Over 1,000 people benefited from a chance encounter. So on behalf of the beneficiaries at Dzaleka Refugee Camp, Thank you to all the Zam Zam supporters – YOU made this happen! There is a Dari saying: “When someone you love is hurting, your soul feels it way before you find out.” June 7th, 2008 was an ordinary summer day, yet something felt so wrong about it. A heavy knot in my stomach, an uneasy feeling that had settled since morning. This was my soul preparing me for the worst moment of my life. June 7th became a day forever etched in our hearts as the day my loving brother, Faridullah Abbasi, was taken from us. This year, it will be ten years since he was taken from us; not a single day goes by where our family does not think of him. Faridullah, or “Fred” to his friends and family, was only 23 years old when his life was brutally cut short. Yet, he was no ordinary soul. His short life was filled with many hidden deeds of generosity and kindness. Almost every day after Fred passed away, it felt as though someone new was coming forward to share their story of how he had touched their lives. Every day for the last ten years, our family has constantly been reminded of his giving nature; even though he has left this world, his good deeds and shining example still remain. This year, our family decided to honor Fred's memory by coming together with Zam Zam in an effort to continue his legacy of serving others. We sought to construct two water wells in Kabul, Afghanistan in time for his 33rd birthday on May 8, 2018. It was only due to the tireless efforts of the Zam Zam staff that our hope to have the water projects built in time to mark Fred's birthday became a reality. Zam Zam turned the impossible into the possible. Our family will forever be grateful to Zam Zam for providing us an opportunity to dramatically improve the quality of life for two of the most impoverished communities in Kabul. Just as the month of Ramadan began, these communities now have reliable access to a clean water supply. We hope that Allah (SWT) will accept this work as another one of Fred's good deeds, perhaps one that will continue to benefit these two communities throughout the years. Like most of our narratives, being born and raised in this hemisphere of the globe has placed me on a pretty high scale when it comes to the levels of privilege around the world. As an adult, I’ve done my fair share of zakat every year; always made sure to give a few dollars to the homeless I come across on the streets, sometimes even buy them a meal if time permits; I make sure to extend my help to distant family members at times of need (and actually act upon it); I put money in the donation box every time I attend the masjid; I attend funerals and pay my respects to the elderly; I pray as much as I can; and I’m genuinely a kind person (sounds so horrible to say that about yourself; please bear with me for the sake of proving my point)--but I mean, that’s about it. That’s where it ends. Give or take a few, that’s where it ends for the most of us. For those of you who know me, you know how close my sister Hila and I are. When it comes to our free time that's not occupied with work, we’re pretty much doing something together. Whether it's going out for a meal to try out the newest mom and pop shop, a quick hike up the nearest canyon, or simply going over our next “big” idea for a film that came to one of us the night before in our sleep; one could say we’re basically attached at the hip. However, in the past few years there's been a decline in our hangouts due to other commitments, which is totally understandable--we’re growing up, we have different social circles, we have different priorities. But one thing that always left me perplexed was when I would see Hila working on Zam Zam related work at two in the morning or missing out on a movie night (ok, that one really hurt) because she had a meeting scheduled with the Zam Zam Creative team and needed to dedicate her time to the organization instead of me. At times, I legit thought she was the only crazy one (apart from Yusuf) dedicating her free time to this cause. It’s just another charity. There are a million of others out there. No charity has ever saved any country. And this is where it gets bad; Just another organization with big egos who are trying to place their mark on the world for the sake of making themselves feel better when we all know these third world countries don’t need non-profits, they need a structure in the country itself; complete waste of money and time. After all, it's just another charity organization. Oh bacheem, was I wrong. 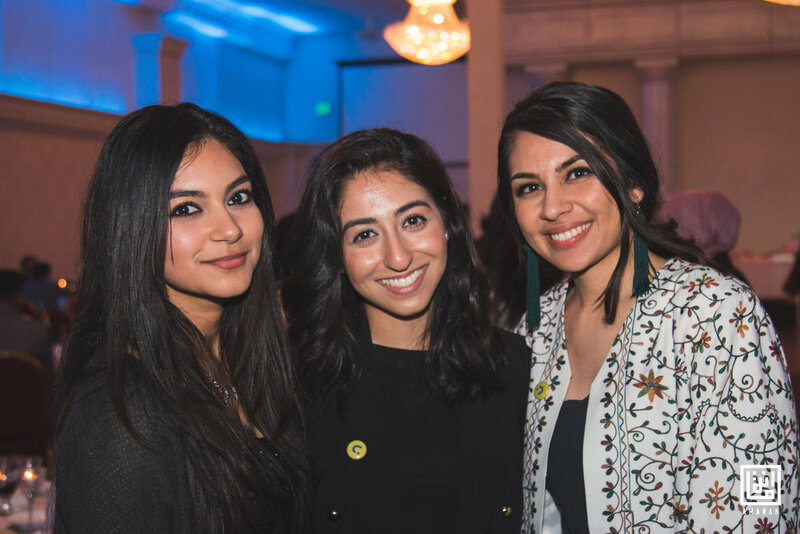 Due to our steady decline in sister bonding time, Hila had been after me to fly up to the Bay Area so I could attend the 2018 Zam Zam Gala with her this year. “Come on man, it’s just one night, for a few hours. We could totally hang out the other nights and be tourists around San Francisco!”...she got me there. All those years of visiting the Bay as a child, but only driving through Fremont where we made the obligatory pilgrimage to Maiwand Market, stacking up on enough bread to feed all of Orange County and then visiting random Khala Jaans and Kaka Jaans in the outskirts of the Bay had left an unimaginable void in my heart. This sounded like the perfect opportunity to fix that. Ok, lets do it. But actually, no; not rude at all. While she was away from me prepping for the event or mingling amongst the guest at the Gala, I finally began to slowly understand her. This madness was all starting to make sense. Hila wasn’t the only crazy one. In fact, every single volunteer was just as crazy as her; they all had embedded their souls deep into the cause and were essential pieces that shaped the Zam Zam puzzle together. And to every single volunteer at Zam Zam, whether we managed to find the time and have a deep conversation amongst those few nights we were there, or seeing how you interacted with one another from afar, I saw how dedicated you were and it left me in awe. 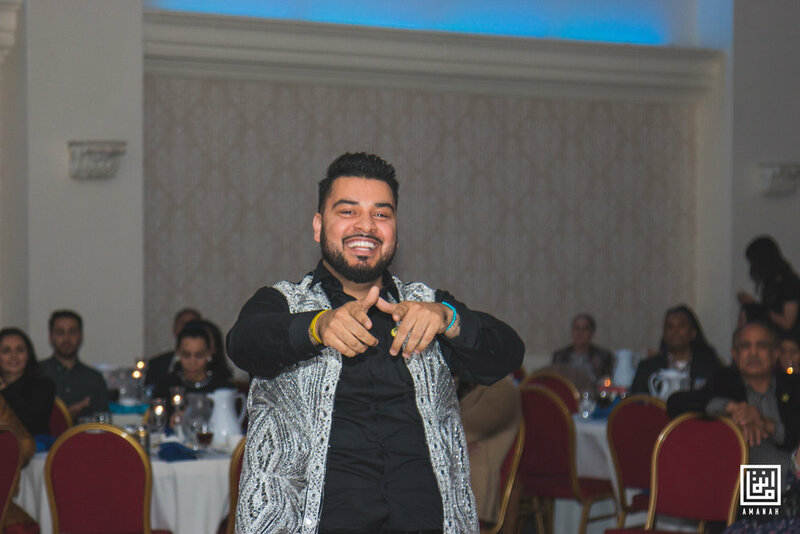 Thanks to your all nighters, skipping out on your free time and dedicating your absolute all to Zam Zam, The Imam Bukhari Orphan Center will have their doors open for another year. Another year to serve 300 beautiful souls. Another year to hear 300 prayers. Another year for 300 more stories. This isn’t just another charity. This is a group of individuals wanting to create a strong foundation for children in these underprivileged areas. This is a group of individuals who are going to make sure these children become well rounded individuals. This is a group of individuals who care about where these orphans will be in 30 years. This is a group of individuals who care for the impact this will put on children's lives and the future of the world. I am so proud of you guys and thank you all for allowing me to experience this with you. At times when I think about my experience, I feel like I went on some sort of spiritual pilgrimage. I now understand it shouldn’t end with just the basics. Passing out a few bucks to someone in need or doing tasks that we are morally obligated shouldn’t make us feel like we’ve done enough. It’s never enough. We just have to surround ourselves with the right people to understand that. The energy, the aura, the love, the compassion, the moments of wanting to strangle each other, the tears, the pimple that formed on my right cheek out of the blue was all worth it. I planned on being a tourist while watching the ripples of the Bay hit the shoreline near the Golden Gate Bridge whilst taking nice Instagram photos, but instead I ended up being a tourist at Zam Zam and finally realized Hila wasn’t crazy after all. To my sister, thank you for dragging me across the Pacific. It is safe to say, Zam Zam’s ripples had reached me. 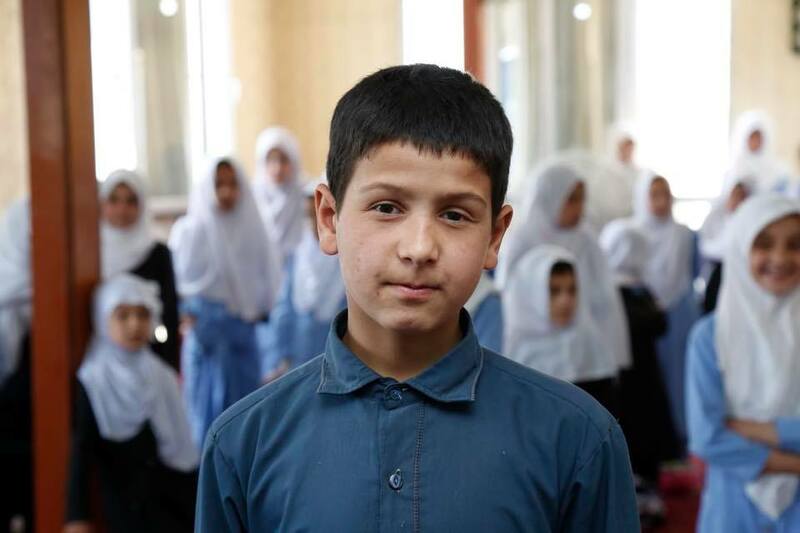 Empowering afghanistan, one student at a time. Last week, a group of us had the opportunity to visit the Imam Bukhari Orphan Education Center in Kabul, Afghanistan. The 4-story center was completed just four years ago serving over 300 boys and girls. 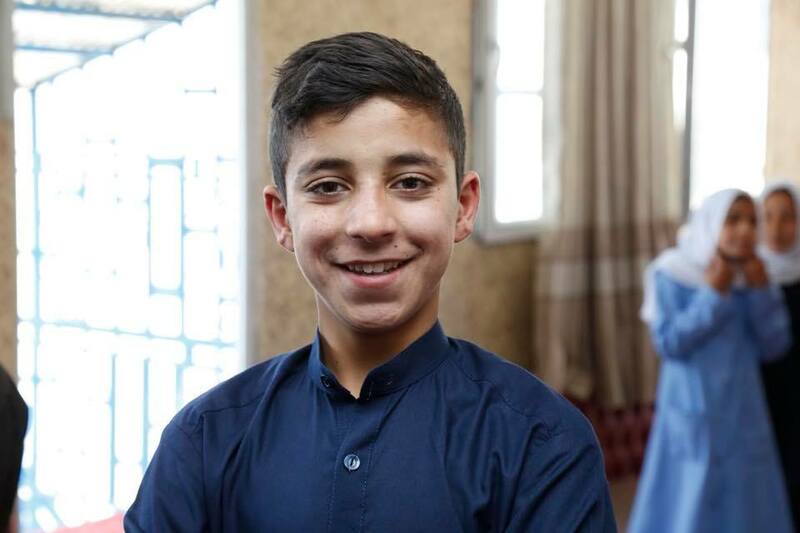 Imam Bukhari provides the children with exceptional teachers, a library filled with a variety of books, a computer lab, different kind of classes - Science, Mathematics, Recitation of Holy Quran, Islamic Education, Farsi, and English. They prepare the students for higher education and the possibility of future internship opportunities. Other than education, the children are provided with food, clothing, resources, guidance, and most importantly the feeling of empowerment. 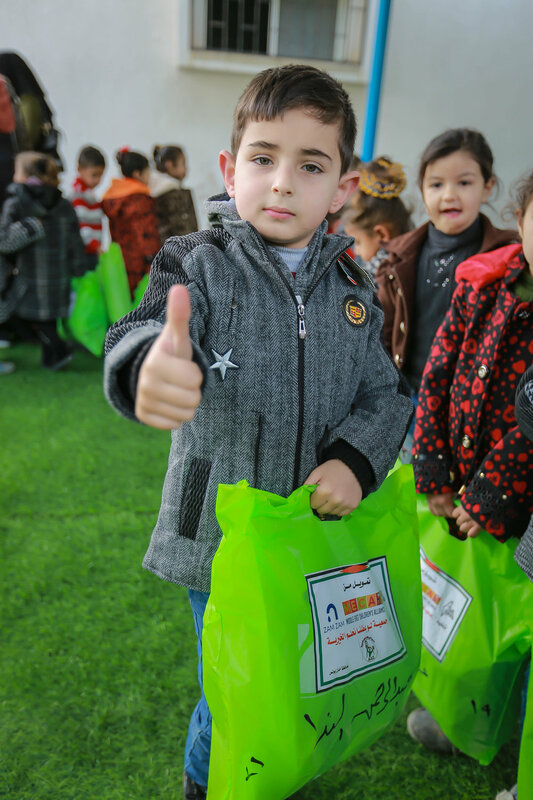 The Imam Bukhari Orphan Center gives them the opportunity to enjoy their childhood while also preparing them for a future. It gives them the opportunity to overcome their obstacles and become the best version of themselves. They have built an environment for these orphans to prosper and the orphan center is creating a bond between the kids that will last a lifetime. Visiting the Imam Bukhari Orphan Center was an experience like no other. We were not ready for this emotional rollercoaster of being surrounded by 300 orphans. All with a heartbreaking story. Upon our arrival to the Zam Zam Blue building, which brings color and life to the surrounding areas, we were welcomed with so much gratitude and love; not only from all the children, but from the staff, especially Dr. Suliman Nessary, the Executive Director. Once we walked into those blue doors, the children were lined up greeting us with flowers. It was an absolute joy to see the smiles on the kids’ faces. Our broken Farsi was the joke of the hour, but it was worth seeing their smiles. Faisal, one of the boys, welcomed us with a beautiful poem he had written. His voice was so powerful and moving, every verse he read came from the heart. Walking through the halls, you can see the showcases of students that placed “awal numra”- top students of the class. The showcase represents a sense of accomplishment and reward for their hard work and dedication. After leaving the orphan center we had a sense of hope. These kids are the future generation of Afghanistan and they will soon be the change the country has been waiting to see. We have never been in the presence of such disciplined and respectful kids. Every single soul was kind, respectful and welcoming. Regardless of everything that they have experienced, they continued to have a smile on their face. The professors have been raising these kids to be strong and smart individuals so that one day they can follow their dreams and aspirations. These children are the future. Each one is a beacon of hope. Today’s Imam Bukhari orphans are being prepared to be tomorrow’s leaders. Being labeled as an orphan does not define their (in)capabilities for success. They will be the ones to end the cycle of violence seen in Afghanistan, because they are survivors. They will overcome their struggles thanks to the worldwide love, support, and guidance they have received. We all made a promise that we will continue to help the Imam Bukhari Orphan Center, as well as visit every year, and will always be a supporter of Zam Zam. What they do and what they stand for is very inspiring and we wish them all the success. May God bless these children and all their supporters!